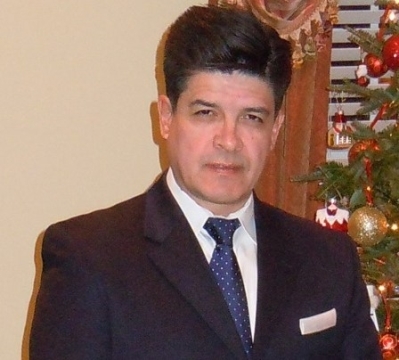 Guillermo "Pat" Patino has been a full time career real estate agent in Northern Virginia since 1998. He is fluent in English, Spanish and Portugese, and he is very knowledgeable in the local real estate market. His career began with achieving Rookie of the Year in his first six months as an agent, and he has not slowed down since then.Pat has been a Top producer for the past 18 years of his career with numerous awards, He has lately received an award from the Washingtonian magazine as Washington metropolitan area's Top producers. He has spent a number of years on the Board of Directors for the Dulles Area Association of Realtors, helping to guide their association as they experience rapid growth. He has watched Loudoun County grow from a far western suburb of Washington DC to one of the fastest growing and wealthiest counties in the US. Pat works on Fairfax, Arlington, Falls Church, Prince Williams, Stafford and other Northern VA Counties. Pat works with his clients to navigate the often complex process of their real estate transactions. He has a team of professional service providers that can assist with everything from a mortgage and home inspection to settlement services and movers. Pat leaves nothing to chance in providing his clients with the best and smoothest experience in buying or selling a home. If you are ready to take that next step and need an experienced adviser with a proven track record, call or email Pat. HUGE REDUCCION HURRY great LOCATION, 66/495/Rt 50 , nice tennis courts, outdoor pool, fitness center, 1 Bedroom 1 Den 1 bath, Lots parking spaces, LB on right side entrance to the right railing, Inquire w LA before you write. WOW price Fairfax location ,price to sell fast Top floor Spacious & Bright.Seller will require RGS title due of the ADVANCE ongoing SS negotiation 1 loan BPO done HURRY !!! !